This paper presents an overview of interface circuits for capacitive MEMS microphones. The interface circuits and the building blocks are analyzed in detail, highlighting the most important design issues and trade-offs. 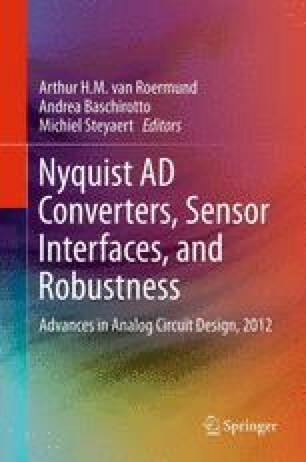 Moreover, two design examples are reported, including circuit details and experimental results. The first example is based on a conventional constant-charge approach, while the second introduces the force-feedback concept. Both examples are implemented in a 0.35-μm CMOS technology and achieve a signal-to-noise and distortion ratio larger than 60 dB with a power consumption of about 1 mW from a 3.3-V power supply.